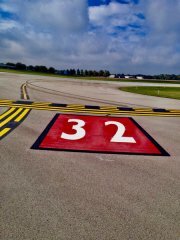 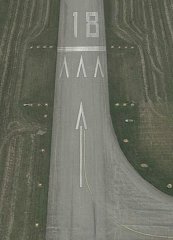 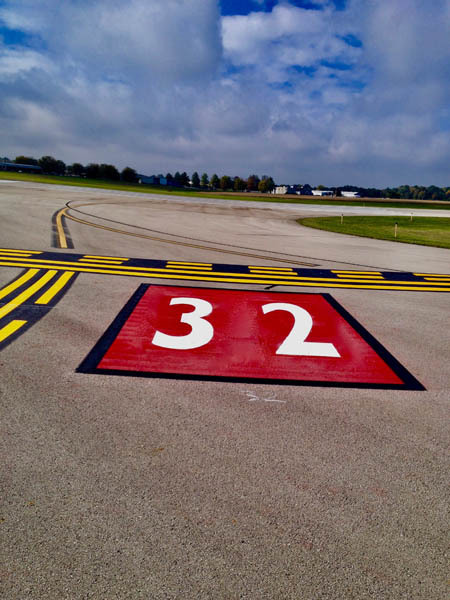 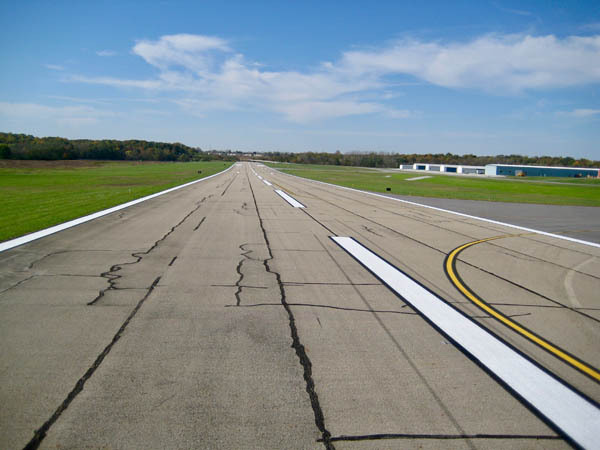 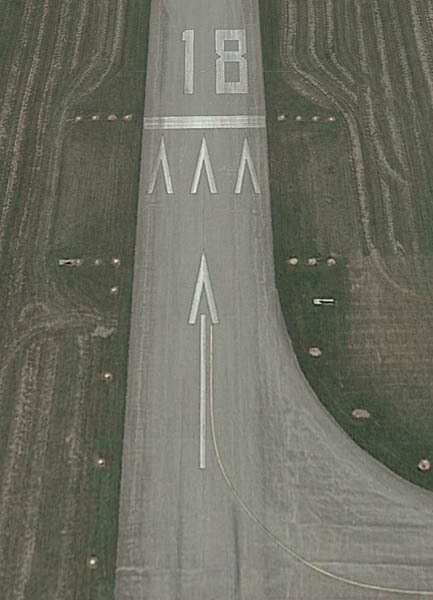 Airfield Striping - Accurate Striping, Inc.
Situation: Anderson airport requested runway and taxiway markings to be changed requiring large volume removal of existing striping and Layout and installation of the new design. 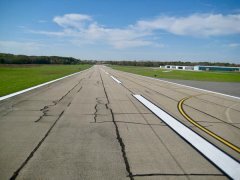 Task: To remove existing marks with little surface damage and install new striping and restripe remainder of the airfield markings. 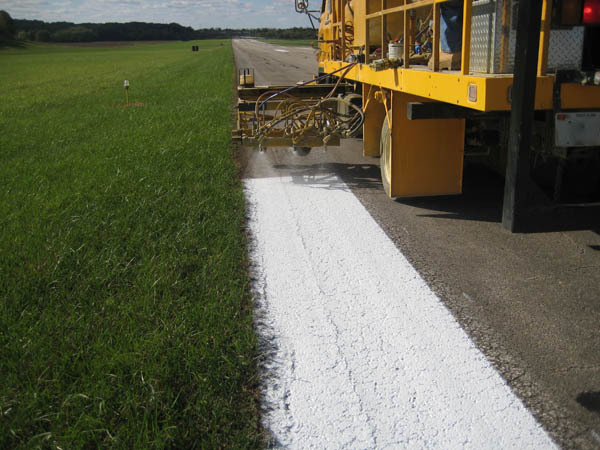 Action: Accurate striping employed truck and skid-steer mounted grinding as well as portable shot blasting to remove existing unwanted markings. 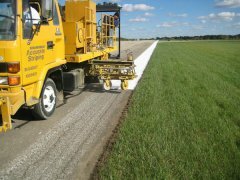 We mechanically swept all areas, laid out the new design and striped all new areas as well as restriped all unchanged areas as per previous. 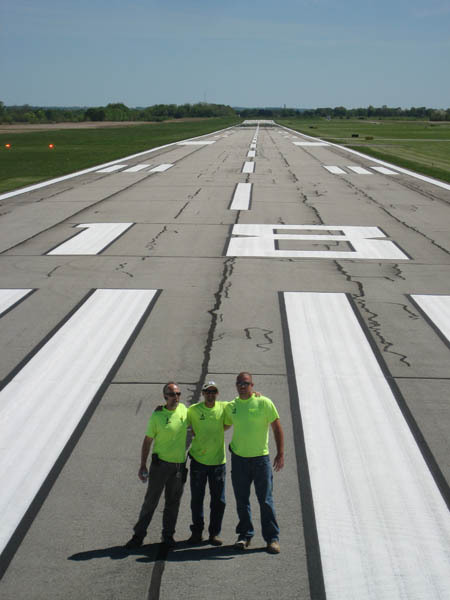 Result: Client was very pleased that existing striping was fully removed with nominal surface damage. 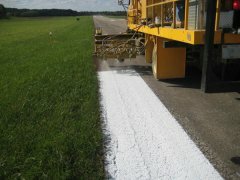 Also, the client expressed ease of use and expedience of Accurate Striping crews. 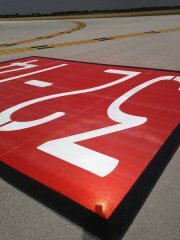 The markings were highly visible both during night and daytime flight operations. Pilot feedback was that the field had not looked that beautiful since it was newly installed.